Pale green serrated leaves. Exceptional orange and yellow autumn coloring. 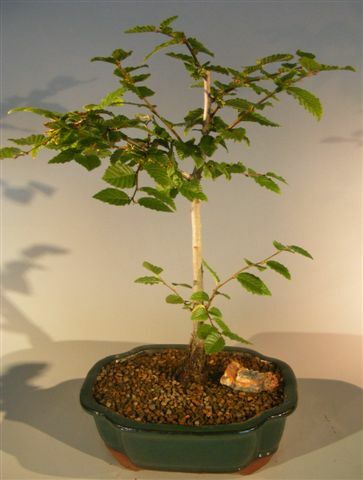 The most desirable Hornbeam species for bonsai because of it's shorter internodes. Deciduous. Keep outdoors. 8 years old, approximately 17" tall.